In 2015, Wesley Hoedt left AZ Alkmaar on a free transfer, his new club Lazio Roma only had to pay a training fee of 0.5ME for Hoedt. 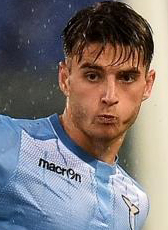 Hoedt is the third Dutch central defender to play for Lazio after Jaap Stam and his current teammate Stefan de Vrij. After two Italian seasons, Hoedt made another foreign move joining Southampton in 2017 on a 5-year contract. Lazio received a 16.4ME transfer fee for the Netherlands defensive international. In January 2019 he moved for the second part of the season on loan to Spanish side Celta de Vigo.